For the last four years, StrongPath co-founder Fred Bartlit has made it his mission to spread the word about a medical condition that wasn’t even officially recognized until 2016—sarcopenia. “Sarcopenia lays waste to half of our adult life. It will affect everyone that does not proactively prevent it,” recently explained in an interview with The Denver Post. Sarcopenia is the natural loss of muscle mass that accompanies aging. It starts in your 30s and accelerates in your 50s. While there is now much research around it, the only recognized treatment is strength training to rebuild the muscle. Fred expressed his frustration with the lack of education about the condition. “Medical schools teach students nothing about what kind of exercise can best defeat frailty, nor the necessary supporting nutrition that along with strength training can keep individuals strong as they age,” he said. 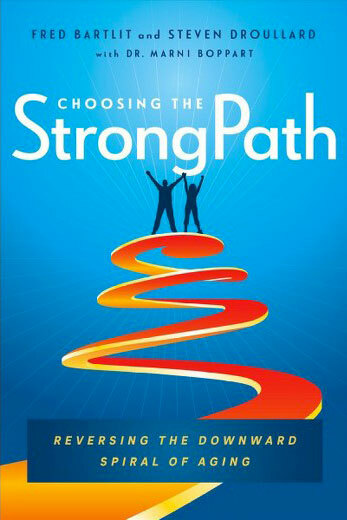 That was part of the motivation for Fred and his co-authors to write Choosing the StrongPath. With StrongPath.com, Fred continues to share the latest research on sarcopenia and information about the importance of strength training in fighting it. “I am proud and hopeful that this knowledge can make an incredible change in people’s lives,” he explained in the interview, which you can read in its entirety here.